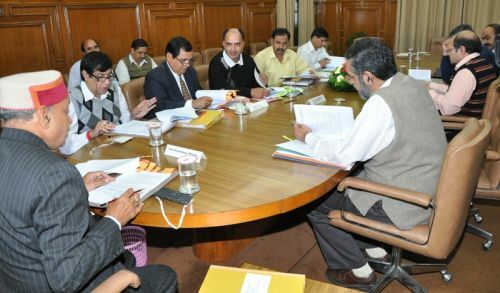 In the 65th Meeting of the State Level Single Window Clearance and Monitoring Authority, which met here today under the Chairmanship of Chief Minister Prem Kumar Dhumal granted clearance in principle for setting up of three new industrial units and expand four existing industrial units, entailing investment of Rs. 593.57 crore and generate employment to 882 persons, in different industrial areas of the State. New proposals include setting up of Cold Chain in apple growing area of Kumarsain in district Shimla, entailing an investment of Rs. 14.71 crore and another Cold Chain at village Bihal (15 Miles) in Manali area of district Kullu, involving an investment of Rs. 10.58 crore to supplement state endeavours in creating cold chain for the benefit of fruit growers. Jaypee Cements has moved its proposal for expansion of the plant at a cost of Rs. 323.99 crore in village Baga, district Solan. Chief Minister thanked the investors for bestowing their faith in the investment friendly environment of the State. He said that despite the fact that the Special Industrial Package sanctioned during NDA regime had been withdrawn by the Centre three years ahead of its scheduled time but still investors were feeling secure to invest in the State where all required quality infrastructural facilities were available to meet the requirement of the industrialists. 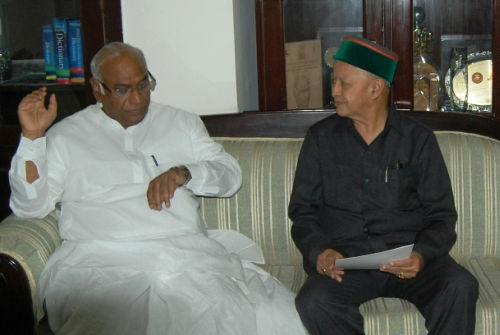 He said that investors had many advantages for selecting Himachal Pradesh for setting up their industrial units as the State Government had personally been monitoring the progress of all schemes envisioned to provide assistance to the entrepreneurs. Prof. Dhumal directed the authorities to ensure that all genuine grievances of the industrialists were resolved at the grass root level by the authorities deployed in industrial areas to avoid inconvenience to them. He said that close scrutiny of the industrial proposals needed to be carried wherein top priority requires to be given for employing the local unemployed youth. He said that optimum utilization of the available natural potential i.e. land, water and other components needed to be adhered to and recycling of the water used in manufacturing process be encouraged besides advising entrepreneurs to include housing plans for their work force within the industrial complex itself. J.S.Rana, Commissioner, Industries, welcomed the Chief Minister and conducted proceedings of the Meeting. Chief Secretary S.Roy, Dr. Deepak Sanan and Dr. P.C.Kapoor, Additional Chief Secretaries, Revenue, Power and Industries respectively, Dr. Srikant Baldi, Principal Secretary Finance, Sanjay Sood, Member Secretary, HP State Pollution Control Board, other senior officers of different departments attended the meeting.